The Zionists of Southern Africa have a zeal, for God who most of them do not know. They praise God who seems far away, and fear ancestors that feel much closer. Easter will soon be upon us. This is the Zionists’ high holiday. 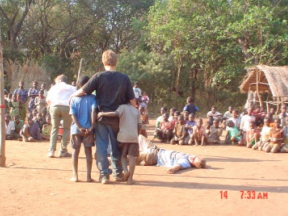 Twenty-six years ago our ministry began with cold call beach encounters where we witnessed multiple immersion baptisms to cast out demons and known by the locals to occasionally result in drownings. Today we are privileged to participate in equipping Zionist Christians with Bible truths that equip them to reach into their communities with the Gospel. ZEMA has a growing radio ministry, annual conferences, and individuals who meet regularly to support and study God’s Word together. There are 87 ZEBS schools with 87 teachers, 61 of whom are African co-workers. Through these schools 2400 students hear, share, and grow as they study God’s Word together. As Zionists have begun to focus on Jesus, their zeal is directed toward God, their creator, who knows them intimately, loves them, and has revealed Himself through His Word. Following our last TIDBITS, we received notes of encouragement from many. Thank you. 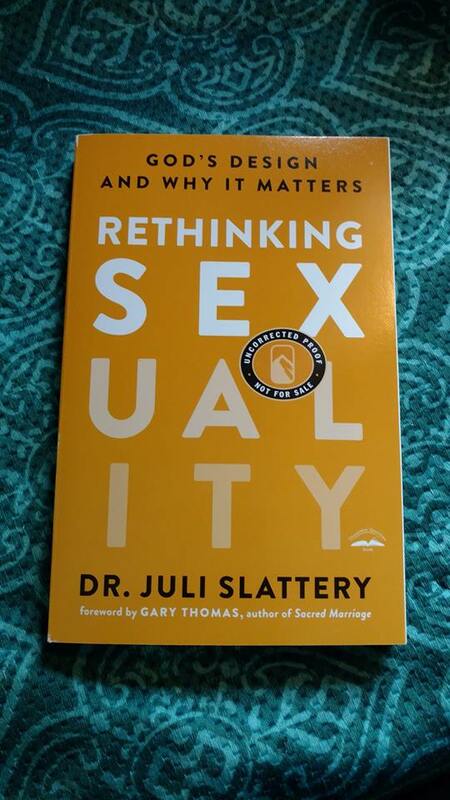 What we can say is that our discouraging circumstances aren’t much different from yours: conflict in communities, families, marriages, health, and financial challenges. Each of us harbors longings for some type of change. Socially, politically, and spiritually something is missing. Before His death, Jesus said it quite simply, I thirst. Globally, unrest affects us. Deeply. We desire the ideals of Eden before hell broke loose. 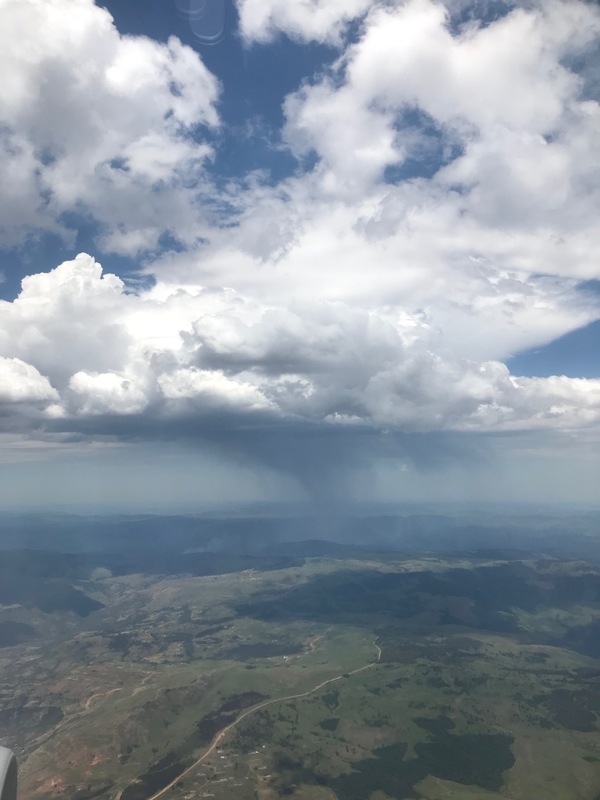 Rains over KwaZulu Natal. Taken by Kyle, Dec 2018. Longing keeps joy at bay. We yearn for feelings of goodness, belonging and worth to well up from within and be contagiously evident. Recently we’ve found ourselves repeatedly contemplating Ezra’s words: The joy of the Lord is my strength (Nehemiah 8:10). Where is joy? I feel weak. When I am weak, then I am strong. (2 Corinthians 12:10) Really? Ezra spoke these words because Israel’s situation was dire; there was no joy welling up. Ezra focused on hope and urged his people to do the same. Similarly to how Jesus would one day respond to feelings of helpless devastation, Ezra encouraged his people to look beyond present circumstances to God’s promise of joy in their future. Daily Greg and I remember that Jesus, “for the joy set before Him, endured…” Even for Jesus, joy did not well up from inside. Instead, joy lay before Him in the hope and certainty that God is powerful and able to carry out His plan. Compelled by this confidence, Jesus continued to identify with humankind to profound levels of human interaction. Identifying with the broken plight of humanity, He put one foot in front of the other, all the way to the cross. Family, friends, ministry, and God’s power displayed in every beautiful detail of creation: each testifies to our Creator’s goodness and attention to the minute details that ultimately bring us joy. Hope remains because, in these, we get a glimpse of what has already been accomplished, the miraculous restoration of the Kingdom of God, at the cross. 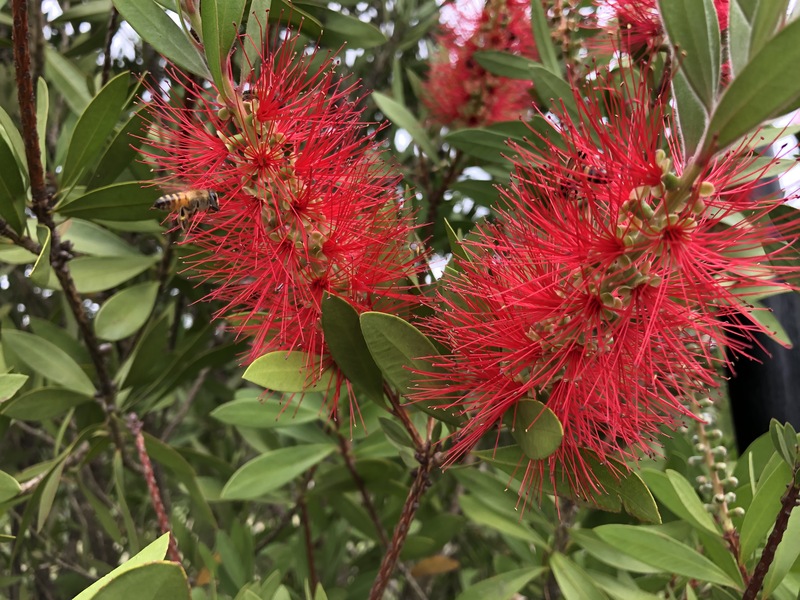 A bottle brush tree in full bloom at Sunbury. 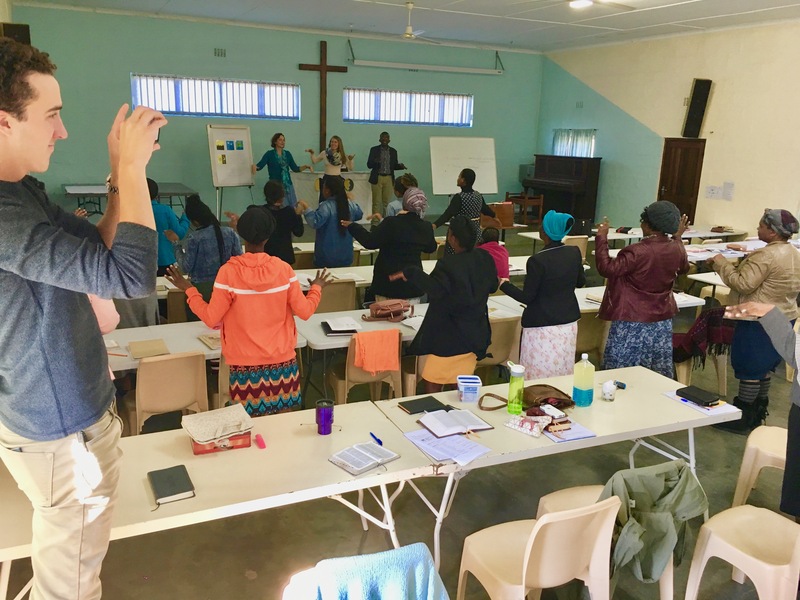 Photos in this series of posts are taken from a gratitude journal Carlene has collected over our years in South Africa. My thoughts meandered through rabbit trails of information and emotions as I considered what I would share in our next post. As I journaled, prayed and processed life, verses from Hebrews chapter twelve repeatedly came to mind, and what began as one post kept developing. We trust, through the next few weeks, you’ll be encouraged to pray for our journey, supported in your journey, and that together we’ll walk with Jesus through challenging times to the throne of God. We’re so very thankful for the support we have in one another and faithful friends and partners in ministry. We are relying on these relationships through difficult times! The other day I said to Greg, “I feel like we’re walking on water.” He looked at me, confused. Victory and rising above circumstances didn’t fit our present feelings. We both have days where we wonder: How did it come to this? How can we…? Why…? And finally, when will we see the way out? Realizing his dilemma, I immediately responded, “Walking on water isn’t fun! Storms are raging around us. It’s scary, and people are getting hurt. Badly!” Life is hard right now. Generally, we feel uncertain and aren’t sure about the next right step. All we can do is keep focused on God and trust Him to work out the details. 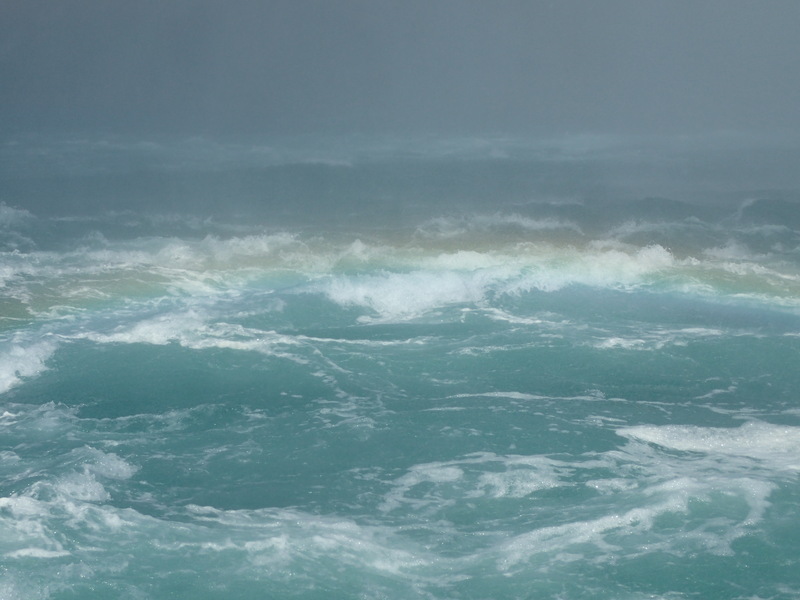 Above water in a stormy sea is not a safe place. Identifying with Peter led us to these verses in Hebrews chapter twelve. Jesus also set His eyes unwaveringly on what lay ahead. God’s plan and His power in terrible circumstances ended at a stable place: the joy of sitting at God’s throne. Jesus’s confidence and trust in God kept Him on course. Jesus’ call to Peter was a call to join Him in what feels like a treacherous walk of faith. 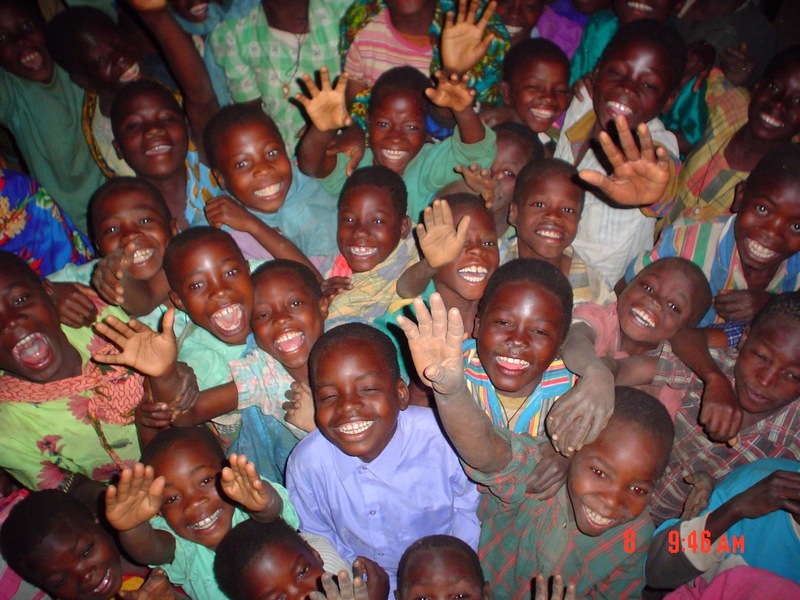 Being a part of ZEMA’s ministries is exciting! However, our foundations are being rattled at the core. There are profoundly painful things happening around us. As reported at the ZEMA Annual Business meeting in March, our USA office needs to make significant changes. The USA board will make some tough decisions on 2 April 2019. Andrew Sisson’s resignation (ZEMA mission director) will take effect by July. Greg has been part of some of the discussions. Additionally, People we minister to and with are wrestling with weighty issues of family, health, and finance. Joy is elusive. It would be desirable to avoid unpleasant realities right now. However, sometimes things get bad, and they can’t be hidden or avoided and still be honest. We appreciate your prayers. We’re confident that God is in control and walking with us. This is a challenging time and in some ways, devastating. But, we trust that all things happen in His time and that He provides for His work and is accomplishing His plan. Photos in this series of posts are taken from a gratitude journal Carlene has collected over the years. So thankful for our family. And for years of growing, learning, and being…… together. Sunday Evening we received a phone call: Greg’s Mom passed away. It wasn’t a surprise. She’d told us she was ready to go. Now ninety, it had been some weeks since she’d been comfortable to converse over Skype. Anxious to join the family to remember, and celebrate her life, we left SA last Tuesday evening for services this weekend. We’re thankful for her legacy of love and are confident that joy flowed heartily from her life because she lived the unconditional love and grace that Jesus modeled. Accepting people as they are, and enjoying what life would bring each day was Grandmother Seghers’ specialty. She will be missed. Pray for peace, joy, and love that continues to unite us in times of grief. We have joined Greg’s family in Mississippi for her funeral tomorrow. Short-termers, Howard and Lynn Swank, arrived at Sunbury in March to help us, while Dan and Beth Hoffman are in the USA on furlough. The Swanks have assured us that they are trusting God as they unexpectedly “man the fort” in our absence. Pray for health, strength, and wisdom. Two weeks ago, before any of this could be foreseen on our timeline, a long time co-worker and African pastor came to us for prayer and asked to stay at Sunbury. 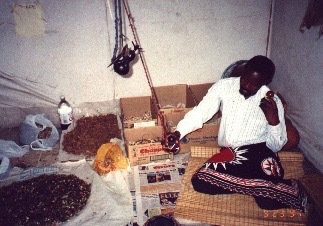 He needed space and divine protection to evaluate and respond to spiritual warfare happening at his homestead. Experiencing symptoms of a migraine, sordid body pain and immobility that medical doctors could not diagnose, there were other unexplainable happenings directed at discouraging him when in the region of his home. As a final impetus, his brother had spoken to him of spiritual curses on the family immediately before his sudden death weeks before. Before our departure, we had been praying with our friend daily, and we continue to seek God’s protection and sovereignty in this situation. His physical symptoms are still undiagnosed, slowly improving, but still present. He is trusting God and continuing to seek direction. He will stay in our home in our absence. We’re thankful and praise the Lord that our last minute flight to the US was relatively uncomplicated and inexpensive. Though upon arrival we did have ONLY 15 minutes of panic at 10 pm Wednesday night. We had lost our passports at Chicago’s ORD curb-side pick-up and were thankful when our late-night call to ORD Dispatch promised a quick recovery. They had already been turned in and awaited our reclamation at the Airport Customs Office on Thursday. 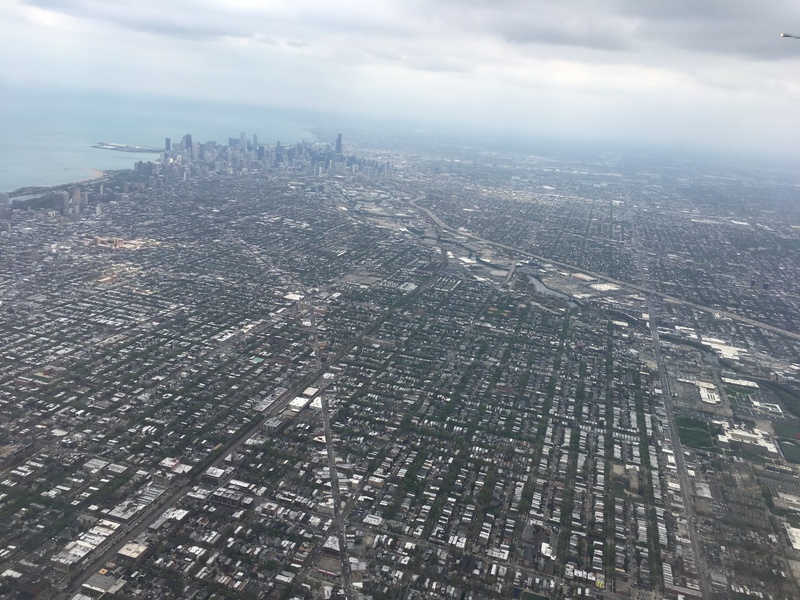 Birds-eye view of Chicago’s skyline taken from our plane on Wednesday. Last minute preparations for travel included interacting with Greg’s doctor’s office and ascertaining a medical certificate to clear him should his radio-active state set off alarms at airport security. We were thankful to learn that PSI levels are in rapid decline, and we continue to trust God that they will continue to decrease to levels that indicate his cancer is cleared. Please be in prayer for our sister-in-law Jennifer as she also works through her journey with cancer. Pray that her next stage of treatment will be less intense and debilitating than the first stage has been. 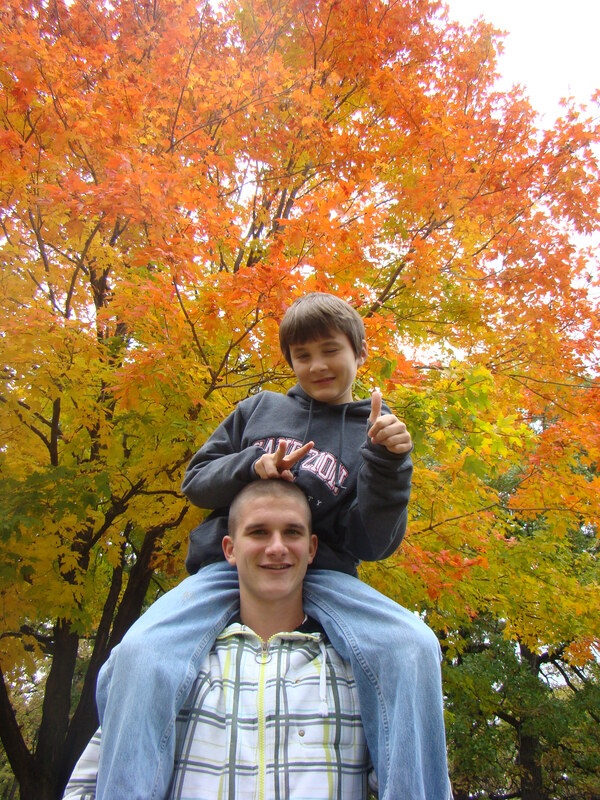 Pray also for Carlene’s brother Rick and their children. 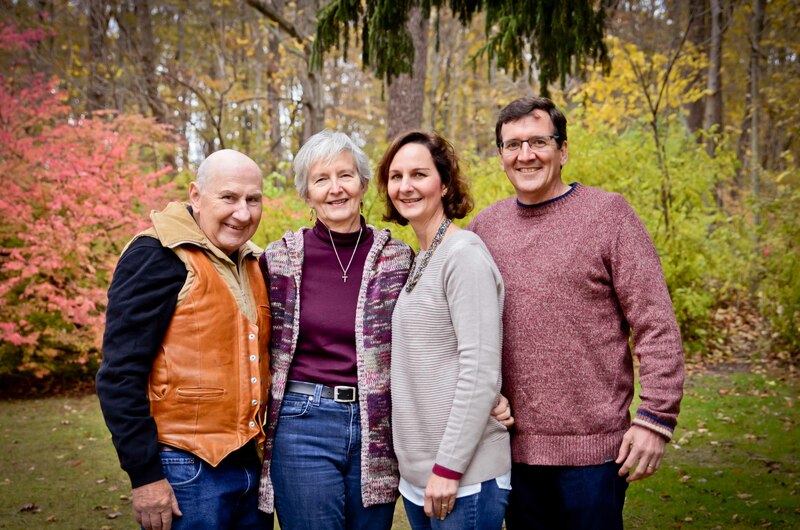 Having lived the journey ourselves, and with co-workers, Mark and Barb Hugo, we know the diagnosis of cancer for any one family member challenges and changes the whole family. May they know God’s peace and love in the midst of this trial. 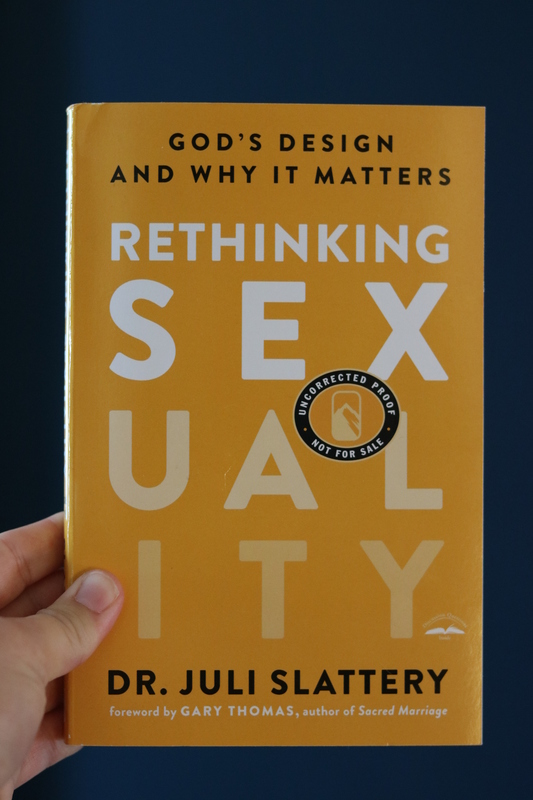 Carlene has occasionally been in communication with a published author regarding the Bible study we are writing, Redeeming Sexual Love. On Monday, while packing for our trip, she heard from this author. A known publishing house has expressed a willingness to look at our proposal for publication. We are confident that all things happen in God’s time, and publishing our Bible study will be accomplished as God directs and not before. Greg’s responsibilities as Field Director include never-ending cycles of administrative communications between ZEMA’s SA missionaries and the USA office. This new role challenges us to navigate life and ministry in new ways. Traveling more, we find respite in the established routines of the past. We continue to mentor young couples, missionaries, and national pastors, and enjoy developing these relationships. 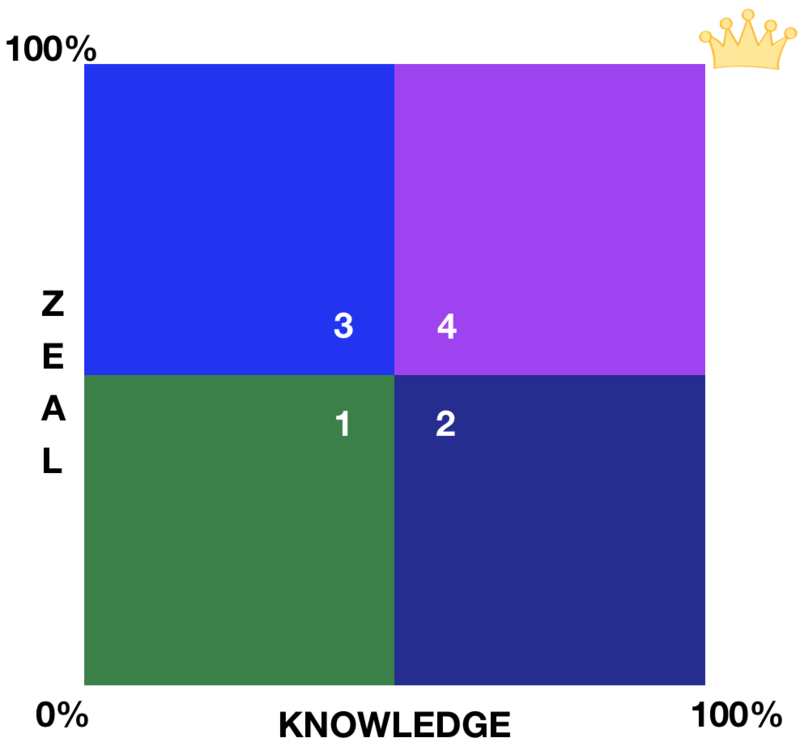 While simultaneously, we are challenged to learn new technicalities required by the position: organizational policies, developing procedures, and figuring out what is required to facilitate growth and leadership that will move ZEMA forward with millennials and generation Z at the helm. I don’t have the time to update our Prayer Requests page today. In this little narration of “Reasons for Prayer and Praise,” we hope our prayer requests and items of praise are self-evident. I have italicised certain phrases to facilitate your thoughts in this regard. Pray as the Lord leads you. And may He bless you, as you are a blessing to us in your faithful support of our family and ministry. Siyabonga Shungube is a young man born in Swaziland whose job transferred him to South Africa where he is now living. We first met Siyabonga when he began studying through ZEBS at Sunbury. 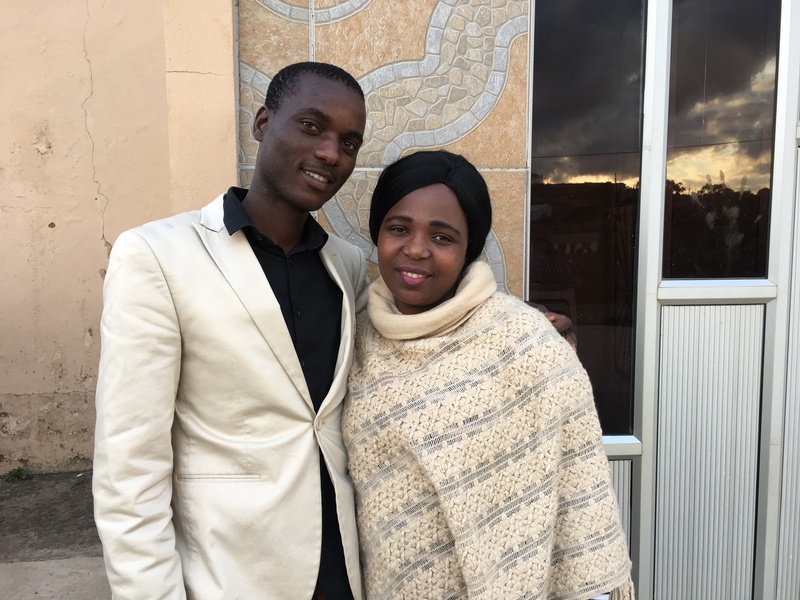 Recently we asked Siyabonga about his Bible training and ministry in his community. G: Please share with us how the teachings you’ve received at the Zion Bible Schools have impacted your life, community, and church. SS: Thanks for that. ZEBS and ZBC have impacted me hugely in my personal life, community, church, and even in my family. In my life personally, I was living in Swaziland when I received Christ. I didn’t have people that I could learn from concerning the Word. The doctrine of the people I was under wasn’t according to the Word of God. It wasn’t right. So when I received Christ I had a hunger for the true Word. I had to visit other churches and fellowship with them. As I fellowshipped with them I grew in the Word, but I also had that hunger for how I could grow fully in Christ. As time went on I met Bruce Britten who introduced me to Zion Bible College and I started studying there. When the time came for me to come to South Africa, Bruce wrote a letter for me to be transferred to ZEBS here in South Africa. I saw my life changing. In the community where I stay right now, when I arrived, I saw that many of the youth were engaged in smoking, drugs, drinking and doing the wrong things. While studying at ZEBS I decided to join a church where I could teach young people the book of Mark from beginning to end. Before the main service on Sundays, I met with them. At the end of the study, I gave each of them a certificate to encourage them. I’ve seen them changing the way they do things. Though there are some who are not following the Word, I can see some, where there is a complete change and God has done a good work in them. Even in my family there is change. Most of my family members are now Christians. Some have also attended ZEBS. My church gives me the opportunity to preach, even on Good Fridays. I don’t think I would be able to stand in front of such a large crowd without training from ZEBS. So ZEBS and ZBC have helped me in church, community, and even family. G: How have you seen an impact on people in your church? SS: Since I have gotten training from ZEBS, I have shared with them what the Bible says about some of the doctrines of the church. I’m seeing some people now going away from the worship of ancestors and wanting to worship God alone. The biggest problem we have here is the worship of ancestors. C: Are you a pastor in your church? SS: I am preaching in the church. I am an “umshmayeli,” because the church government is that we have an Arch Bishop, and I am a preacher under his leadership. C: You came to South Africa from Swaziland. Is your family still in Swaziland? SS: My father and my mother are in Swaziland, but I got married. My wife and my son are here with me, living in Stanger. C: You go to a Zion church in Stanger? SS: When I first came from Swaziland I attended another Zion Church. But there came a time when there was a problem in the church and they wanted to consult the spirits because of the problem. We said this was not right. When we said that, the church leadership said to me if I would not cooperate with them in this, we could not work together. 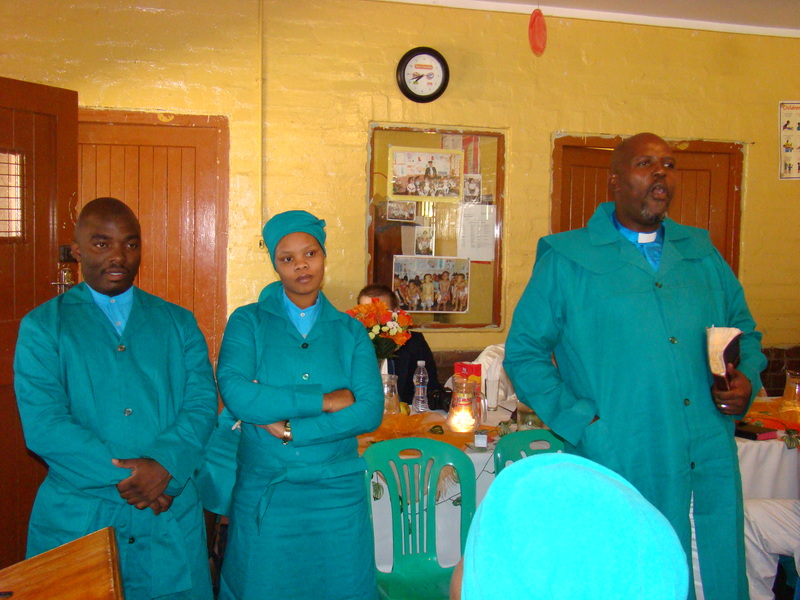 At that time I decided I should start another branch of the Zion Church that I had attended in Swaziland. So now in Stanger (South Africa), I have started another branch under the leadership of the Zion Church I was a part of in Swaziland. G: Siyabonga, thank you for taking the time, and allowing us this interview. We look forward to sharing your story with others who will pray for you and your church. 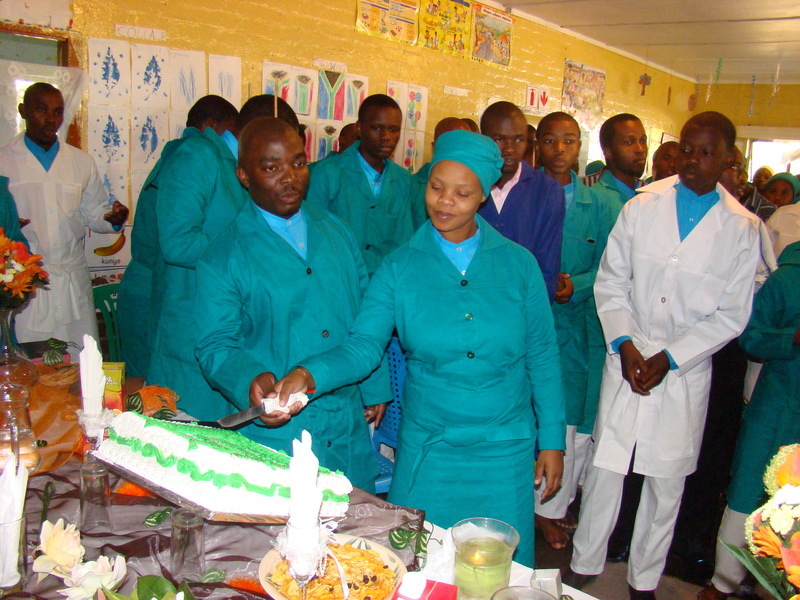 A current ZBC class in Swaziland (eSwatini) such as Siyabonga attended. 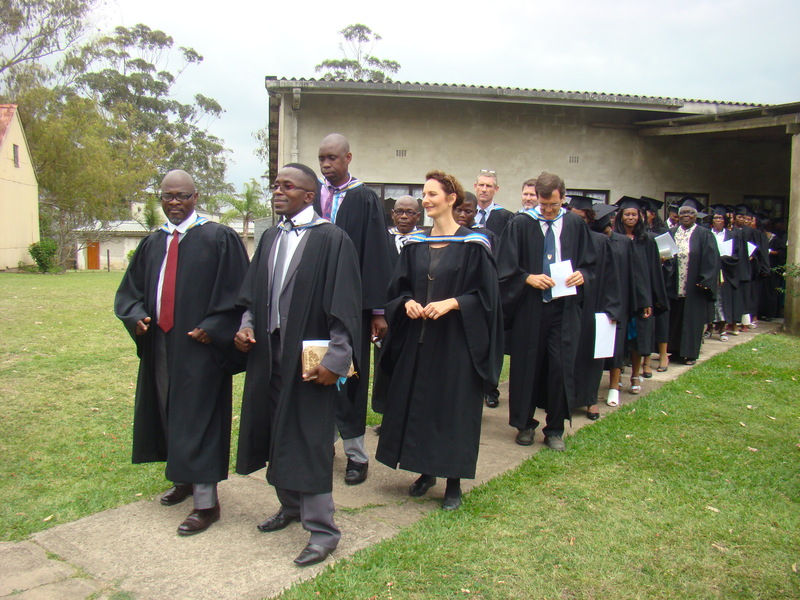 Ceremonial march of teachers and graduates ZEBS graduation in 2014, the year Siyabonga graduated. 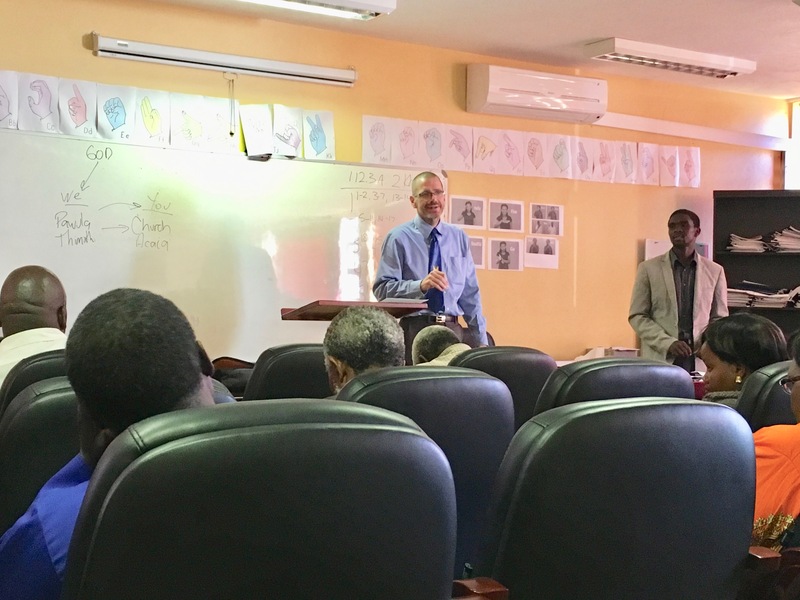 Addendum: The Zion Evangelical Bible Schools (ZEBS) and Zion Bible Colleges (ZBC) are Bible schools started by missionaries working with ZEMA and other mission agencies (currently TEAM, SIM, and DMG) who partner with us. These schools share a core curriculum, and the leadership comes together annually for training and fellowship. 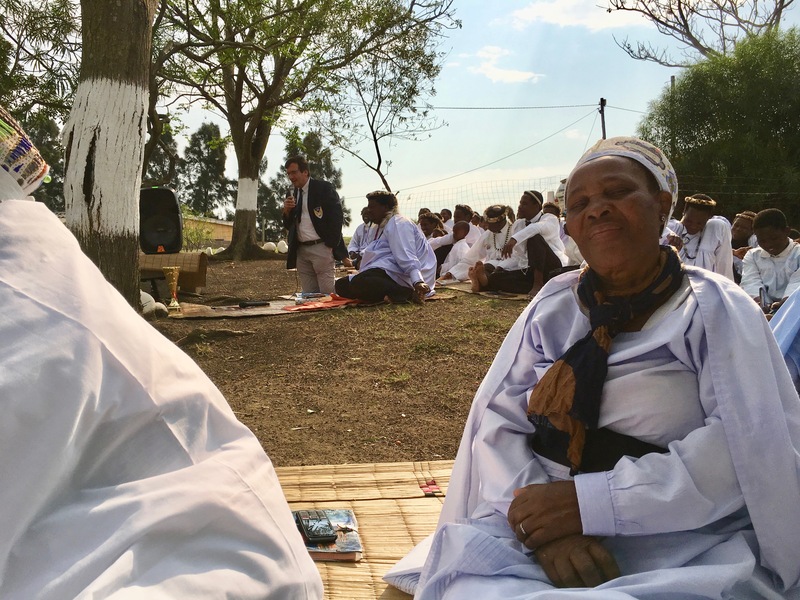 The difference between ZEBS and ZBC has to do with our desire to honor an established organisation of churches in Swaziland (now eSwatini, 19 April 2018). 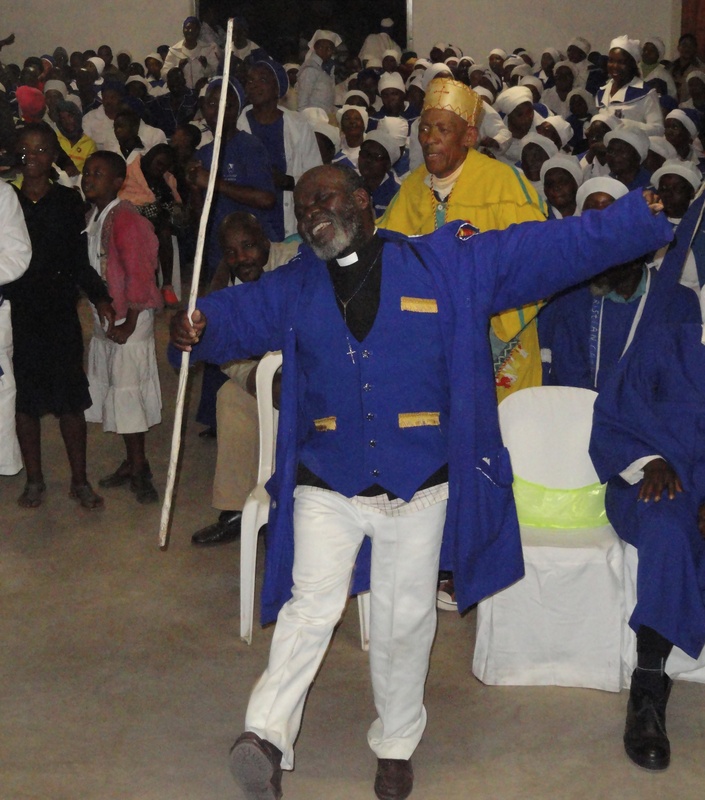 Those schools started by the leadership based in eSwatini did not want to create confusion regarding a large denomination of churches located there. To alleviate the potential for confusion with this denomination, called “Evangelical Churches,” they moved away from the ZEBS title, which had already been established in South Africa, opting for ZBC. 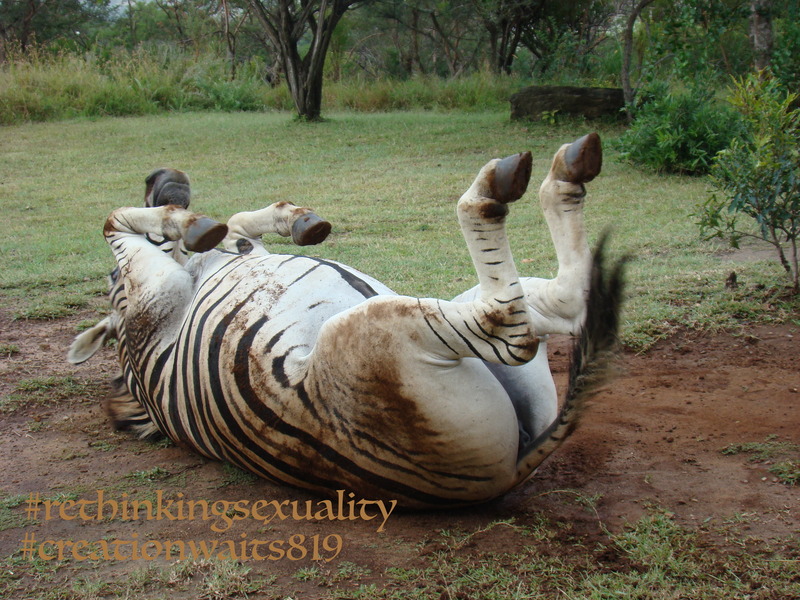 At this time both ZEBS and ZBC may be found in many Southern African countries.